Dictionaries are collection of words in a single or more specific languages. Often, they come arranged in alphabetical order andc are included in a sentence fragment checker. For ideographic languages, a dictionary is arranged by stroke or radical. Dictionaries may include information on usage, definitions, phonetics, etymologies, translations, pronunciations, and good sentence starters. They could also be books of words in a particular language alongside their equivalents in another language – this is sometimes referred to as lexicons. Johnson’s dictionary is not the very initial work on collection of words and their meanings. But, it is credited with the first work that attempted to include every English word with examples and definitions. Before the introduction of the OED (Oxford English Dictionary), Johnson’s Dictionary was the leading. OED was introduced 173 years later. Simply known as OED, the Oxford English dictionary is called a descriptive dictionary of no other language than the English language. The publisher is the Oxford University Press. OED is seen as the most popular dictionary in the world by many. This famous book of words traces the English language’s historical development, thereby providing academic researchers and scholars with detailed resource, and at the same time describes usage in its different variations all over the world. Work on the Oxford dictionary started in 1857. However, the publishing started in 1884, with the name: A New English Dictionary on Historical Principles; Founded Mainly on the Materials Collected by the Philological Society. It was not until 1895 that the Oxford English Dictionary was first used as a title (unofficially) on the series’ covers. Then, the full complete dictionary was republished in 1928, in 10 bound volumes. From the overview, it appears that dictionaries are limited when it comes to their scope and purpose. This is obvious when you make a distinction between a specialized and general dictionary and want to find out how to choose best unabridged dictionary. 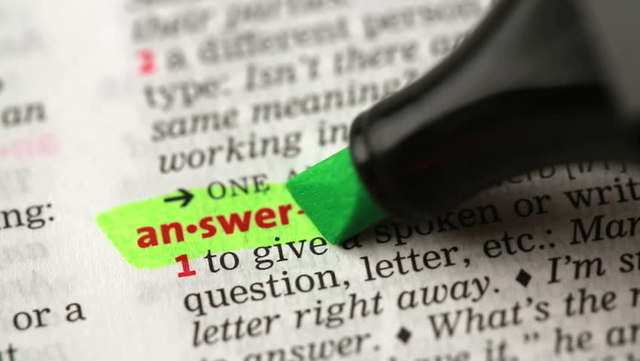 The general dictionary is not far away from what should be considered the ideal dictionary – one that makes a representation of the entire lexicon. It is based on the data that commonly assume the form or pattern of a general-purpose body. It offers information on parts as well as aspects of a language’s lexicon. The dictionary offers assistance by providing translations between languages. This type is known as a bi-lingual or pluri-dictionary. If the user is assuming the role of a writer or speaker, the perspective in question is called onomasiology. If the user is assuming the role of a reader or hearer, the perspective in question is known as semasiology or semasiological perspective. Each word contained in a general dictionary could have a number of meanings. In some dictionaries, you will find each separate meaning listed according to the order of usage frequency. The dictionary may also have limited synonym for a given word. On the other hand, other dictionaries will simply list definitions of words based on their historical order, starting with the oldest usage. Function: As the name suggests, a general dictionary is most suitable when searching for general meaning of a word, as opposed to a specialized dictionary that focuses on a specific area or field such as medicine or law. The Manual of Specialized Lexicographies defines a specialized dictionary as one that particularly focuses on a specific subject area. This type of dictionary is also called a technical dictionary. A multi-field dictionary: It extensively covers tons of subject areas or fields. A typical example is a business dictionary. Example of a multi-field dictionary is the 23-launguage Inter-Active Terminology for Europeans. A sub-field dictionary: This one covers a more specialized area or field such as marriage law. An example of a sub-field dictionary is the African American National Biography Project. A medical dictionary (glossary) for instance is also a typical example of a specialized dictionary. Function: In essence, a specialized dictionary is most useful when researching specialized areas such as medicine, law, manufacturing, and other specialized fields. This is perhaps the simplest type of dictionary. It simply offers a main glossary of the most basic meanings of the simplest ideas or concepts. Subsequently, the explanation of other concepts can emerge. Function: A defining dictionary is most suitable for people who are starting to learn a language. The English defining dictionary would usually feature just a meaning or two of not more than 2000 words. From those, the definition of the rest of English words, including the 4000 popular English Idioms as well as metaphors can be derived. Big thanks to the Inspiration behind the internet, you can now find dictionaries online. The best part is that you can access internet-based dictionaries while on the go with your mobile devices (phone, laptops, and tablets). Online dictionaries are available in English as well as foreign languages. 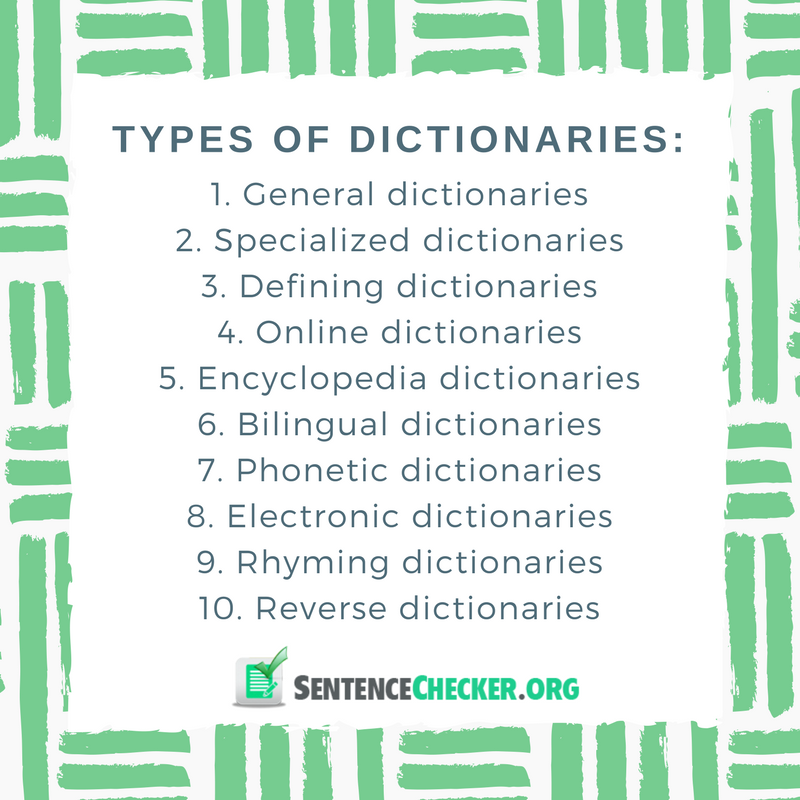 Use different types of dictionaries to be sure about the words you write!